So the presenter wasn't bad at all. A little slow for my preference but easily remedied at 1.25 speed. Unfortunately the story was quite disappointing. After covering his initial career quite well in Vietnam and as SAS exchange officer, the rest becomes a saga of the political trappings of an ambitious senior army officer. 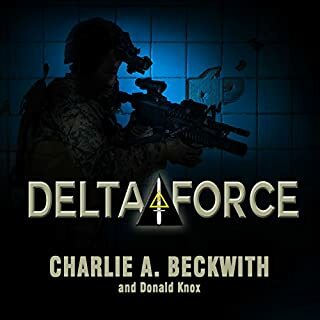 There is an abundance of name dropping of top generals and generally speaking, talks more to the logistics and administrative difficulties of setting up delta force more than anything else. To clarify, the message and content of "ego is the enemy" is great. I have read the hard copy and it is filled with notes and sticky flags. That said, I was extremely disappointed that the overall listed length of the audiobook is false. From the epilogue, it goes strait into an (already available) Tim Ferris podcast. Ironically, he is one of the most subliminally egotistical, braggart celebrities that comes to mind, whether he's casually name dropping, listing his past successes or new toys/acquisitions. 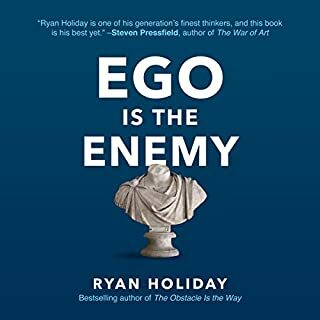 Furthermore, Ryan Holiday, who I had previously respected as a non-biased author philosopher goes into a bit of a political rant. Grab the book, take notes, and save yourself the misleading audiobook+podcast. This book's content, like many other SEAL authored titles, is highly repetitive regarding aspects of training (ie BUDS). 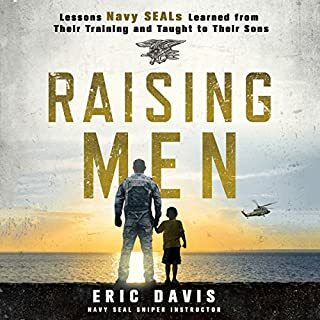 I enjoyed the discussions on fatherhood and will likely buy the hardcover to finish as I only made it about an hour into the audiobook. My primary issue was the narrator. I tend to not listen to the sample clip, which I regret in this instance. I didn't care for him at all. Additionally, it gets quite confusing as the author has included excerpts from family and friends in the middle f the text, and it becomes easy to get mixed up in who is currently "talking" at which points. Makes it seem quite disjointed. 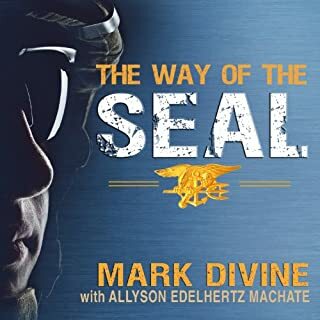 Ex-navy commander Mark Divine reveals exercises, meditations and focusing techniques to train your mind for mental toughness, emotional resilience, and uncanny intuition. Blending the tactics he learned from America's elite forces with lessons from the Spartans, samurai, Apache scouts, and other great warrior traditions, Divine has distilled the fundamentals of success into eight powerful principles that will transform you into the leader you always knew you could be. Learn to think like a SEAL, and take charge of your destiny at work, home and in life. While covering some interesting concepts, this is not one which I recommend as an audiobook. The exercises should be read and practiced. Furthermore, this book is really part of a set. In order to benefit, you would also have to read (not merely listen to) "Unbeatable Mind" and Mark's Sealfit book.